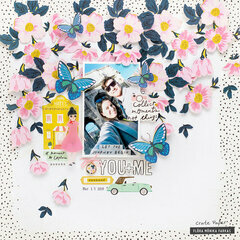 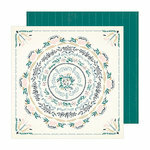 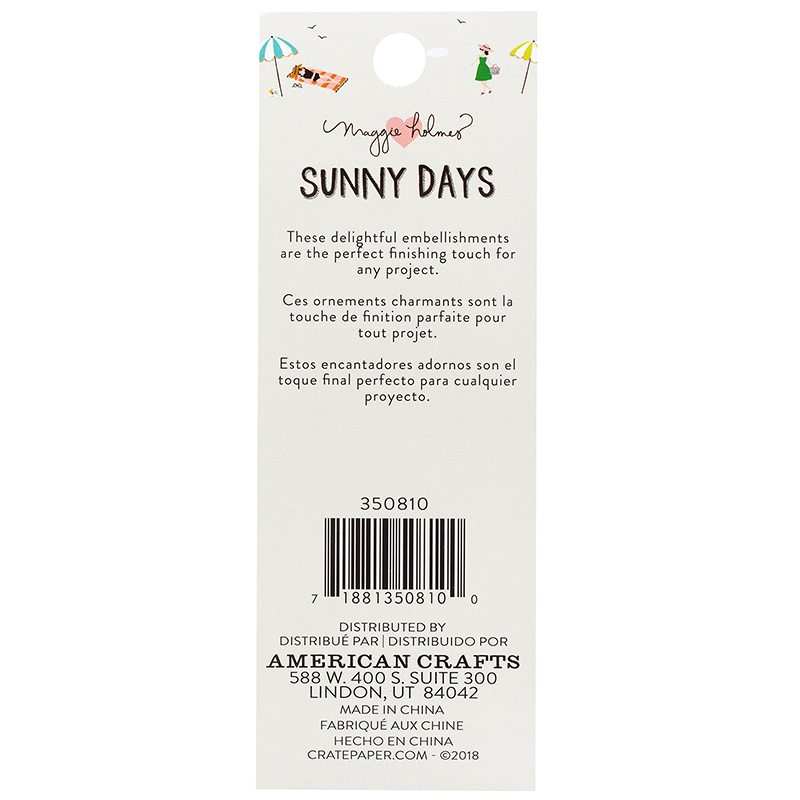 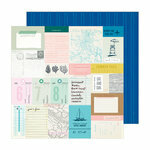 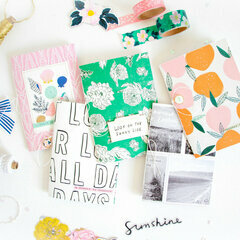 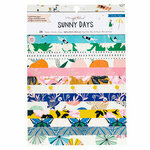 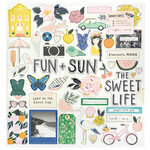 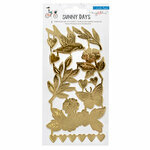 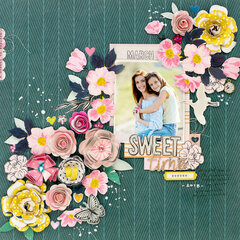 You'll have charming results when you craft with the Sunny Days Collection by Crate Paper! 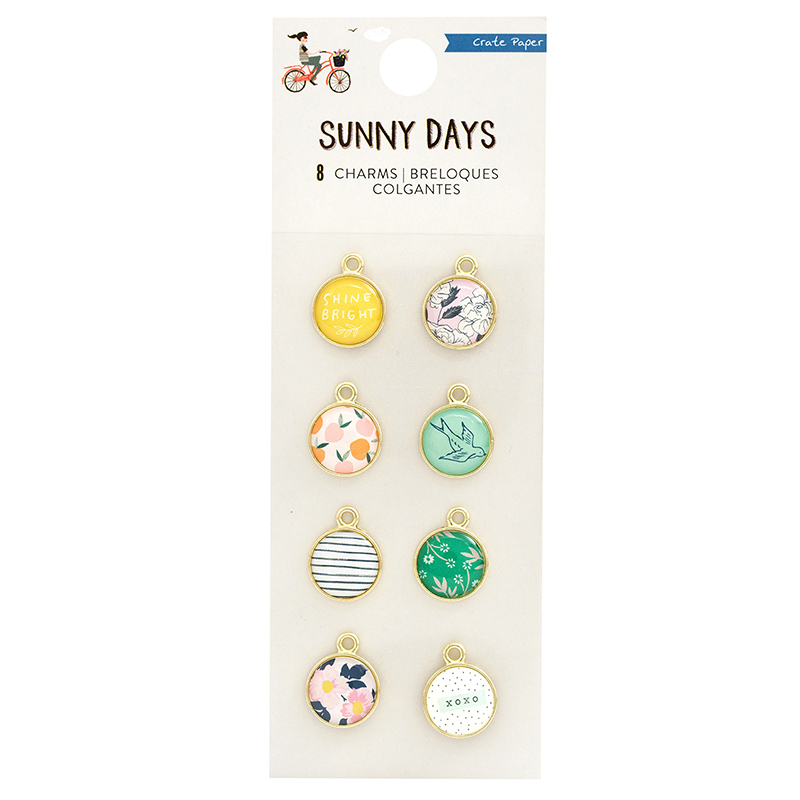 The package includes 8 Charms that are designed by Maggie Holmes. 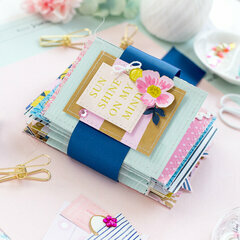 Pieces feature flowers, stripes, "shine bright" and more patterns.